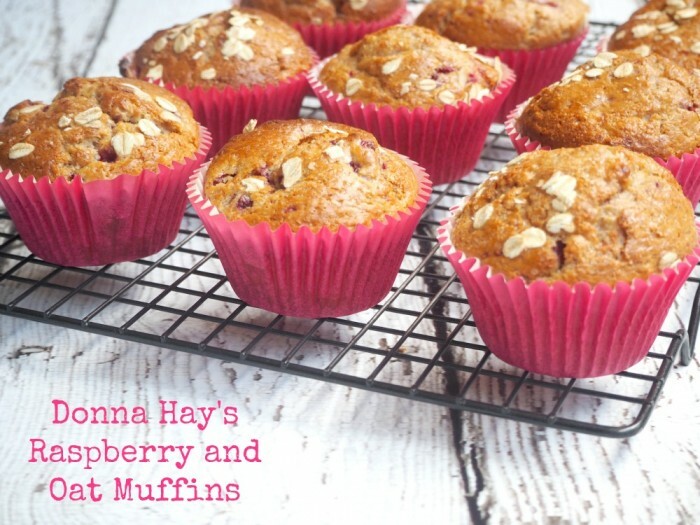 I tweaked these from Donna Hay’s Fresh and Light Cookbook and also converted them to the Thermomix . There’s all the yumminess I have come to expect from Donna’s recipes, but just as the title of the collection suggests, fresher and lighter. 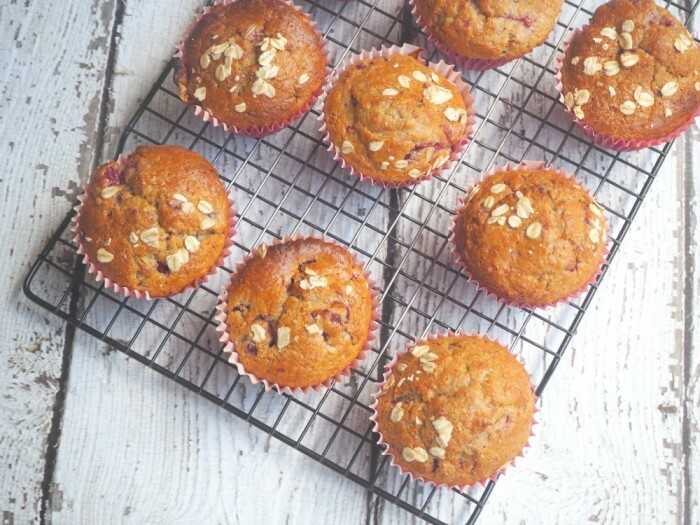 These muffins are value added and packed with oats and wholemeal goodness. They’re the perfect breakfast bite. Come to think of it, they’re the perfect any time of day bite! Preheat oven to 220C C/200 C fan-forced. Line a 12 hole muffin tray with paper cases. In a separate bowl, mix the honey, egg, buttermilk, oil, sour cream vanilla and honey until combined. Pour the wet mixture into the dry ingredients and mix until just combined. Gently stir through the raspberries and oats. Use an ice cream scoop to spoon the mixture into the paper cases. Sprinkle with extra oats and a little raw sugar. Bake in a hot oven for 5 minutes then reduce oven temperature to 180 C/ 160 C fan-forced and cook for another 20 – 25 minutes until golden brown, when the muffins are tested with a skewer, it should come out clean. Add the honey, egg, buttermilk, oil, sour cream and vanilla to TM bowl and mix for 10 seconds on speed 5. Add the dry ingredients to the TM bowl and mix for 5 seconds on reverse speed 4 until just combined. Remember lumpy mixture makes the best muffins. Add the raspberries and oats and mix for 3 seconds on reverse speed 4 using the spatula to assist.